Posted on April 7, 2015 at 2:00 am. A business’s most effective acquisition approach will be driven by your happiest customers selling on your behalf. Sparking this amplification requires a consistent and amazing Customer Experience which customers gladly share with friends, family and colleagues. Customer Experience management is misunderstood in Ireland and requires greater clarity. Dialogue define amazing Customer Experiences as giving customers ‘what, when and how they want it without having to ask for it’. And finally, we now have a framework that any Irish Business can operate to deliver world-class CEX. We believe a company’s greatest asset is a thrilled customer. Leveraged appropriately (reading your customers minds), customers will become your best acquisition sales personnel. Dialogue is a founding partner of Cexi.org, which is part of an international group of leading Customer Experience practitioners including Nunwood, Stir and Amárach. 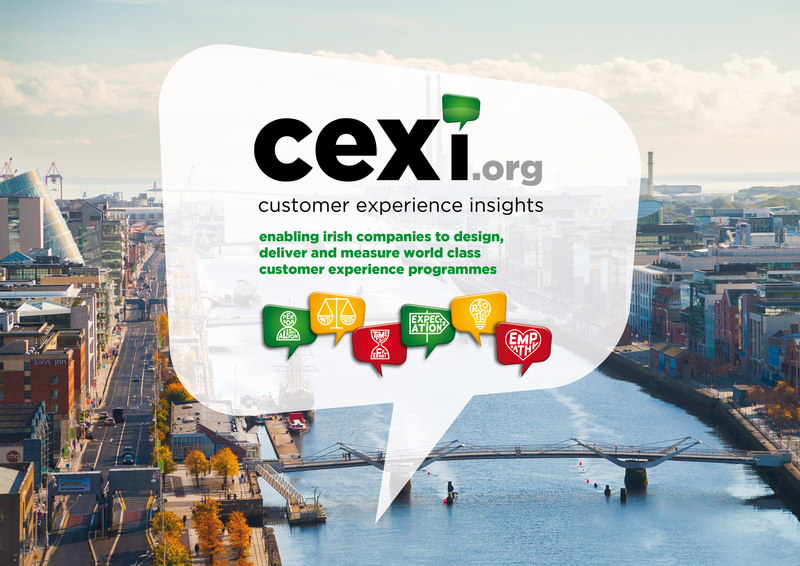 CEXi is Ireland’s first CEX subscription service, offering clients detailed research findings behind the annual ‘’Top 100 Customer Experience Brands In Ireland ‘’ survey. Other benefits include global comparisons against best practice and a workshop to discover how the findings can be accelerated within your own firm. Cexi is also delivering a national consumer conference with opinionated Irish consumers taking the stage and talking to member clients, rather than the other way around.